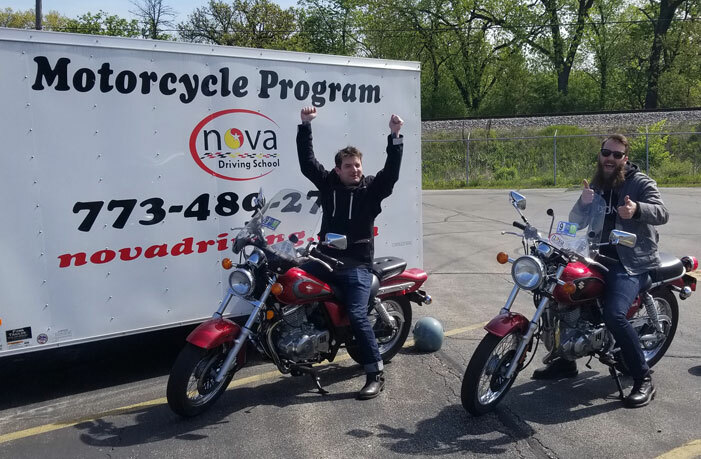 Nova Driving School offers a comprehensive motorcycle training program that includes both classroom time and riding exercises (seat time). Our training programs will not only properly prepare you for taking the state road test but more importantly it prepares you for the real world challenge of motorcycle driving. Our certified instructors have years of experience helping new riders develop and improve their riding skills. Nova will also provide the motorcycles and helmets needed for training. 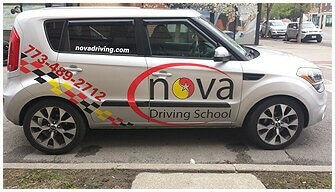 The road to an Illinois Class M motorcycle license for Chicago area-residents begins with Nova Driving School! 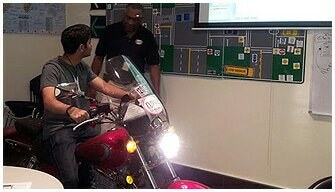 We are the only Driving School in Chicago that prepares you for the Motorcycle Written Driving Exam. * Motorcycle and helmet are provided for use during this class. *Must have completed an accredited motorcycle training program and provide Nova with a certificate of completion prior to appointment; if not, the purchase of a one-hour riding lesson will be required. $80 can be applied toward any motorcycle package. This class is free when you buy our Combo Special package or Motorcycle Training Program. Complete Motorcycle Rules of the Road instruction. *This class is free when you buy the combo special or the motorcycle training program. Must know how to properly ride a bicycle. Over-The-Ankle Boots with rubber soles. No heels sandals or open toe shoes allowed. Signed waiver from Nova (available on 1st day of class). Welcome to bring own DOT Department of Transportation approved helmet. Training deposit $90 includes your permit preparation great time to schedule your behind the handle bars.